Last year a charming mini-trilogy about Chaumet was released in a gift size box set. 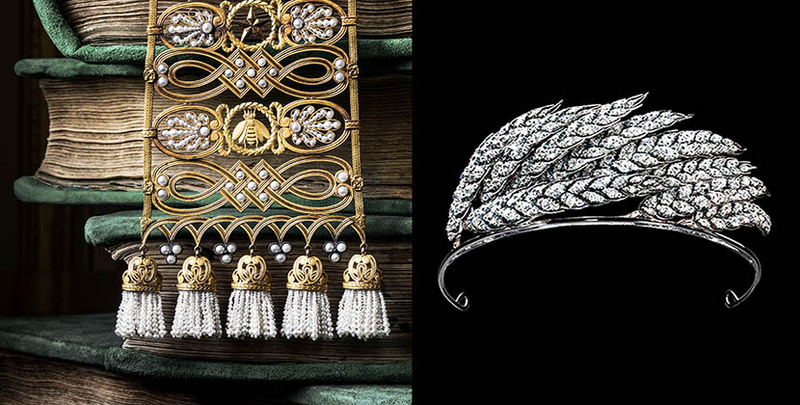 Now those books look like hors d’oeuvres compared to Chaumet Parisian Jewelers Since 1780. This new tome, published by Flammarion, is a feast of 400 pages and 375 color illustrations. Almost all of it focuses on the breathtaking work done by the firm throughout the nineteenth and early twentieth century. The book’s editorial director, Henri Loyrette and 9 contributors cover different areas of the French house that was originally known as Nitot. Because the firm’s archives are so extensive, dating back hundreds of years, the facts can get granular, like profits and losses of the company. The most delightful sections, are brief essays that reveal the stories of some spectacular commissions and anecdotes about royal clients and special pieces. For example, the pearl and gold belt (seen in detail in the photo at top) otherwise known as a “Gothic girdle,” was made for Marie-Louise’s wedding to Napoleon in 1813. Queen Victoria was a fan of the collection. When special pieces were shown to the monarch at Windsor Castle in March 1849, she “promised to buy many things for Christmas.” Prince Albert also placed orders for three dendritic agate brooches. The most fascinating item from the Queen is a small drawing she presented the firm for a little wreath brooch in 1851. It is not clear if she was ordering the piece or rendering a drawing of one of her jewels, but it is a delightful bit of ephemera. 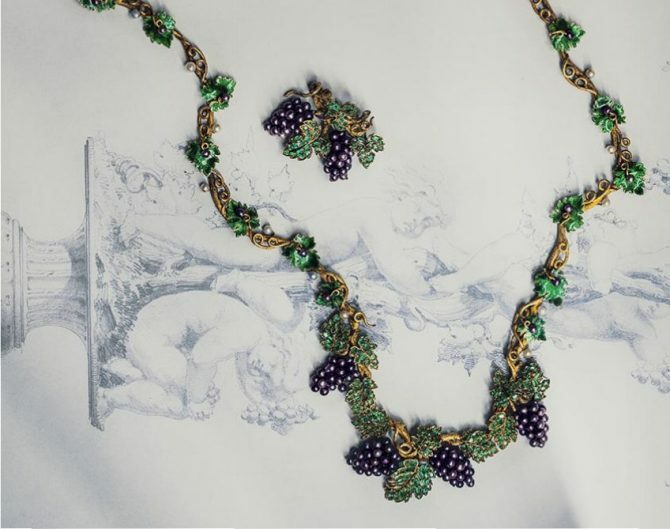 An essay by Béatrice de Plinval, who has been Chaumet’s archivist for the last 36-years reveals behind the scenes details on various exhibitions and books. 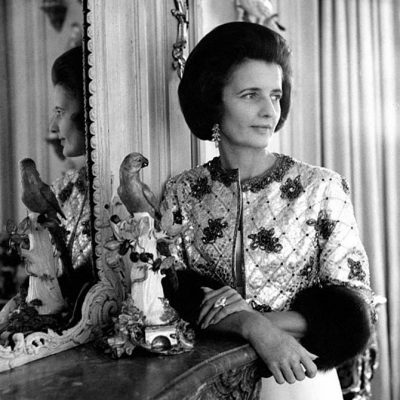 One of the most fascinating tidbits was how Chaumet began organizing its history in 1991 in collaboration with jewelry historian Diana Scarisbrick. 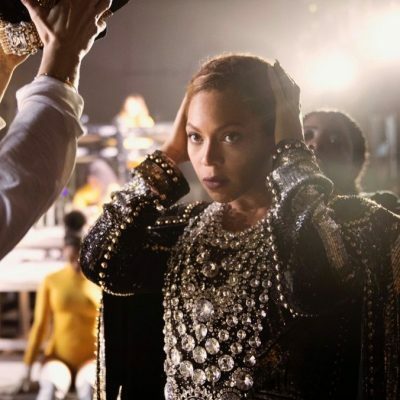 They sent her the company’s accounting ledgers and visitors logs to study in London. Every six weeks a new set of books was put in the trunk of a car and couriered to Diana to review. 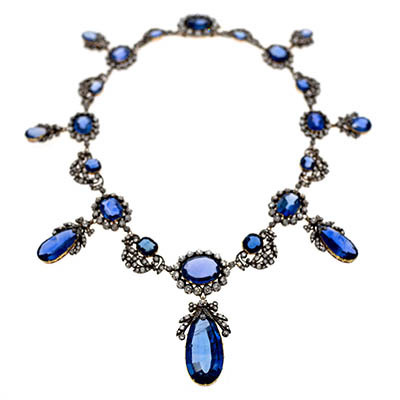 The research resulted in the 1995 publication on the French jeweler. 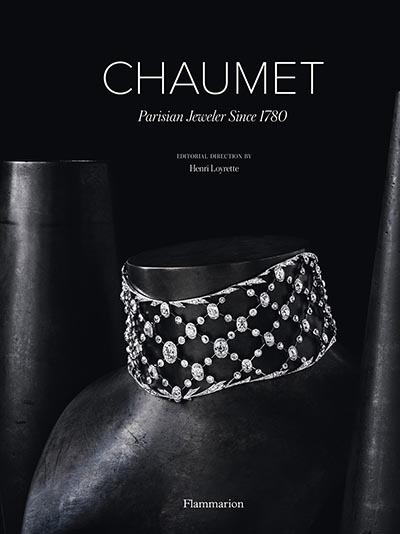 There is so much to read in Chaumet Parisian Jewelers Since 1780 that I wish, as I often do with these big jewelry books, that the text came in the size of a small paper back. The compromise of having to read the publication on a table is that the large size accommodates glorious photographs. 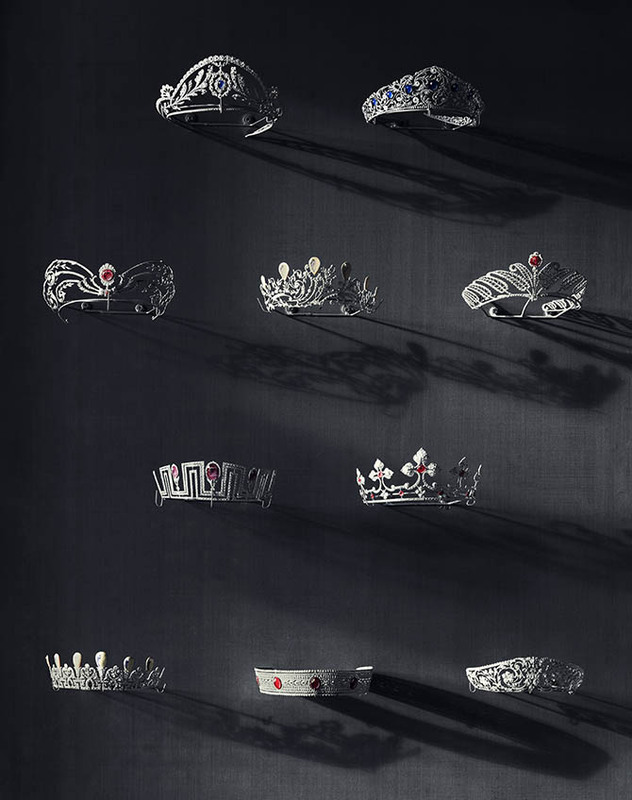 Many images are new photos of historic jewels Chaumet has been reacquiring since 1980. 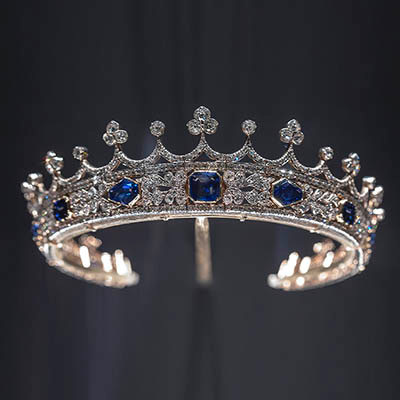 There are the dreamy tiaras as well as lots of cameos, micromosaics and other neoclassical styles popular during the Napoleonic era. Sensational renderings are scattered throughout the book. 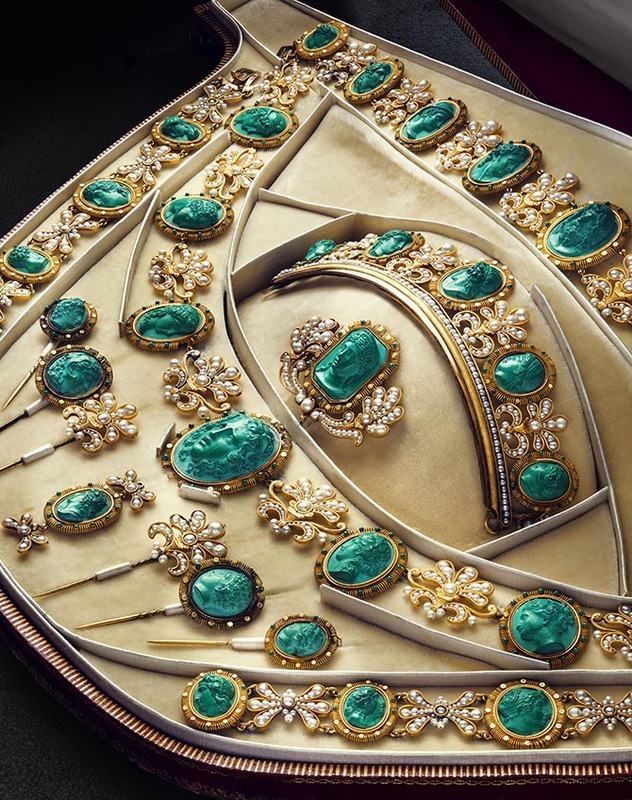 It also has exceptional paintings of French and English royals that are brought to life by the detail of the Chaumet jewelry they are wearing. Unfortunately, none of these images were available for this book review, but trust me the portraits alone are worth the price of the publication.